For student groups, we provide an array of programs (described below) for Grades 1 - 8. These are offered to Region 18 students free of charge. 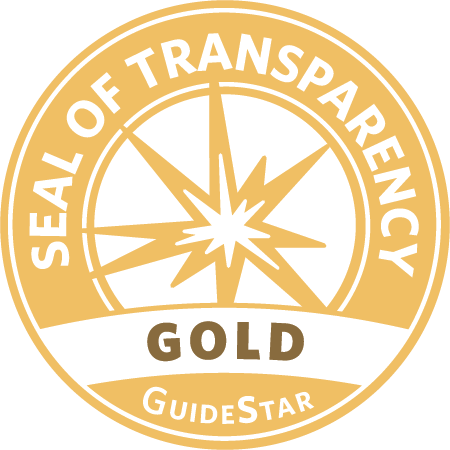 For all schools, public, private and homeschool, and for all grade levels through college, we'll also create a program around your learning objectives with a guided, interpretive hike. For tour groups, we'll custom-design a guided, interpretive hike to Modesta Canyon or Clayton's Overlook, a guided tour through the Botanical Gardens and Cactus & Succulent Greenhouse, and a Mining Exhibit presentation. ​All visiting groups are welcomed to stay for lunch and enjoy the serene surroundings of the Pavilion. Contact 432-364-2499 or programs@cdri.org to schedule a date for your group. 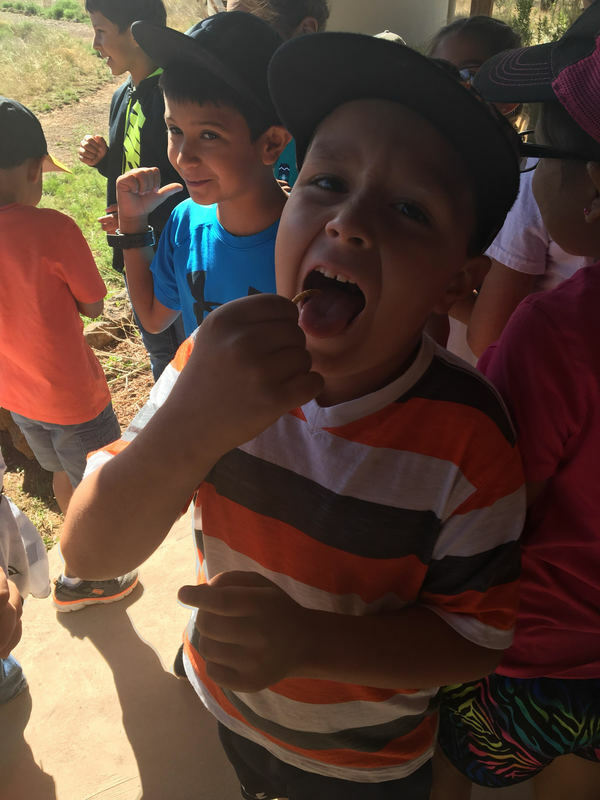 Students in 2nd & 3rd grades learn about insects, find out which are deadly and poisonous, observe insects as pollinators up close in the garden, and learn about entomophogy while answering the age-old question: "Which is better? Spicy mealworms? Or chocolate covered crickets?" 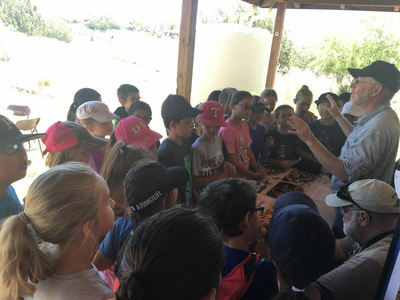 ​First grade students will explore the natural world of living things from a guided hike, to learning about the life cycles of frogs and birds, the basics of what makes up a food chain, and the parts of a flower. These are all items covered in the TEKS, making this program a great review and culmination of what students have learned throughout the year. This exciting program was created for 7th/8th grade students. 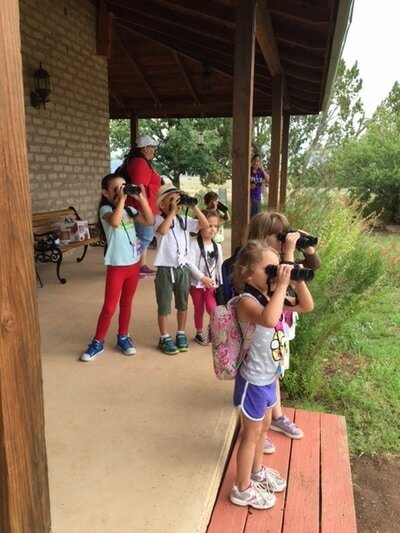 Students will learn about bills & beaks, why birds are able to fly long distances, the evolution of birds, what makes bird songs distinctive, hummingbirds, and they'll learn all about birding from the Bird Blind. Critter Camp 9:30-,11:30 a.m., was created for children between the ages of 4-7. Pre-K and Kinder are on Day 1, followed by 1st through 2nd graders on Day 2. 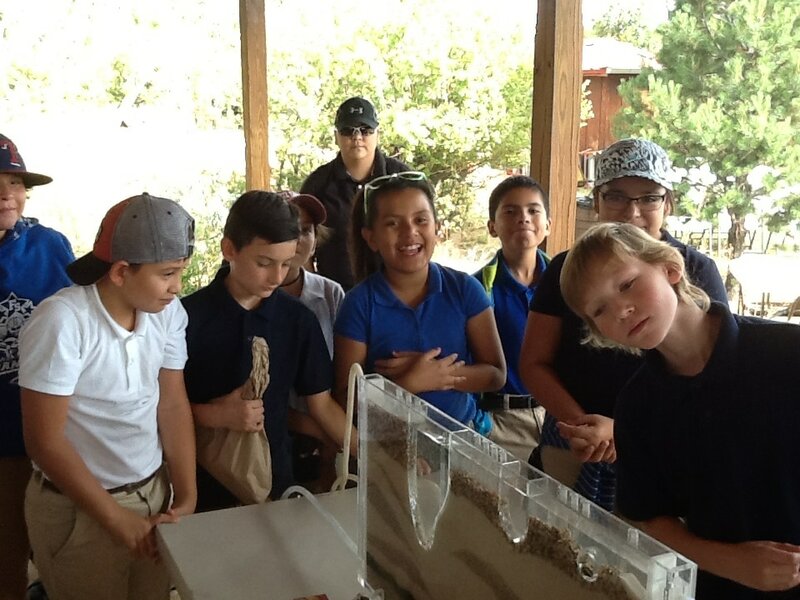 Children learn about animals from A-Z in the Chihuahuan Desert through games and projects. Day campers get to hike the trails, discovering interesting things about plants and animals along the way. And, of course, we provide snacks. Designed for 4th graders, students will discover the world of Herpetology which includes the study of amphibians and reptiles. They will examine venomous specimens (non-living, of course) while learning about non-venomous snakes with live specimens. 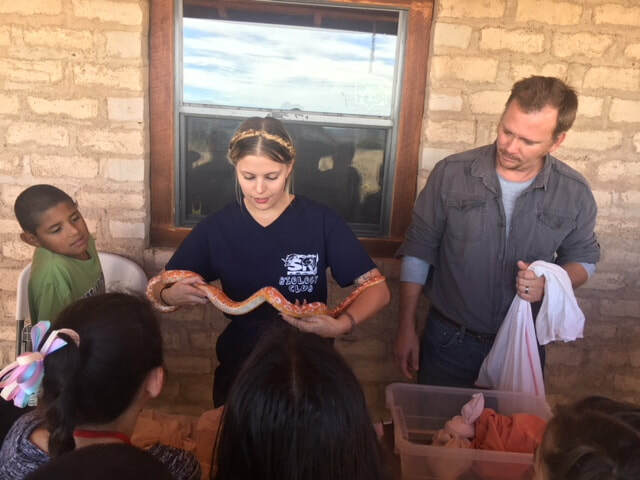 Students will also learn about first aid for pets and humans in case of a snakebite. 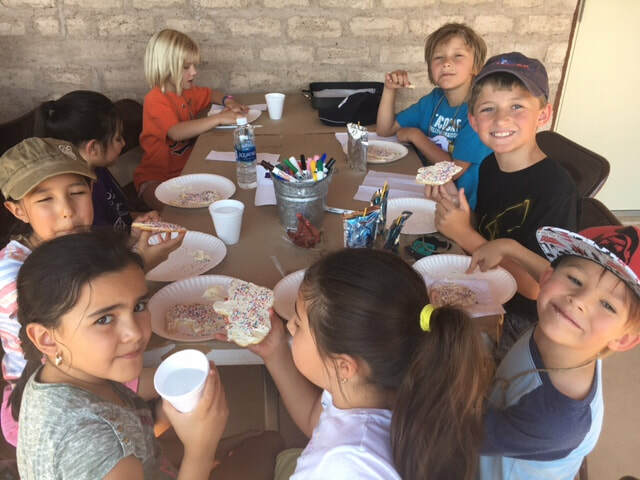 Bring the family and enjoy a fun desert exploration activity. GeoCache is a treasure hunt designed for children, parents or grandparents to share in the adventure. You'll receive an activity sheet with instructions. Download the Geo Positioning App onto your phone or use the coordinate guide provided at the Information Desk, and set off to find hidden "treasures." At each found location, you will get to leave a trinket in the treasure box and take one that is waiting for you in the treasure box. At the end of hunt, bring the completed activity sheet back to the Information Desk at the Powell Visitor Center for a prize. An "advanced" GeoCache site has been added for the more "advanced" GeoCache enthusiast. .
We will provide you and your family with an activity booklet (free) that sets you off on a scavenger hunt through the garden area. When you have completed the activities, bring the activity booklet back to the Information Desk at the Powell Visitor Center, and your child will receive a Certificate of Completion. 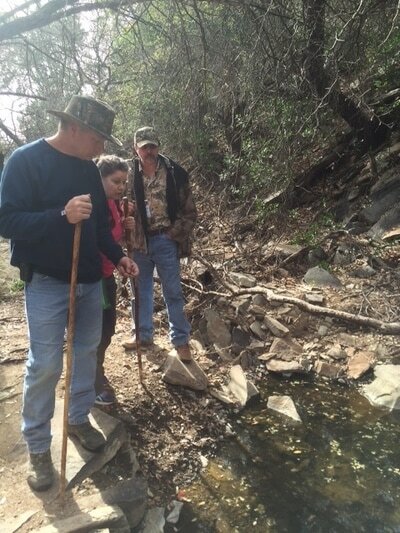 Both GeoCache and Junior Explorer are year-round activities, free of charge.